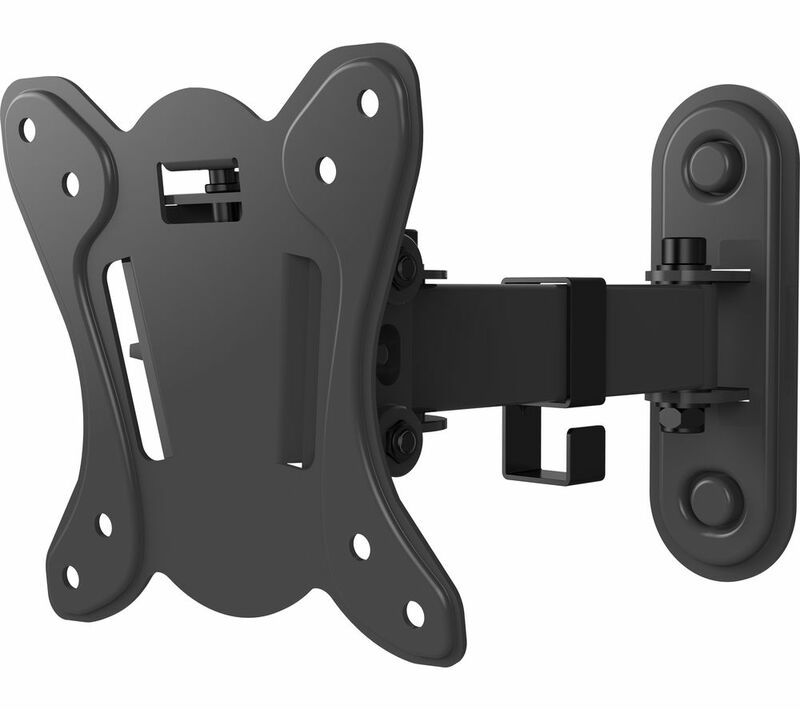 Mount your television and position it at just the right angle with the Techlink TWM102 Tilt & Swivel TV Bracket and enjoy greater viewing flexibility. 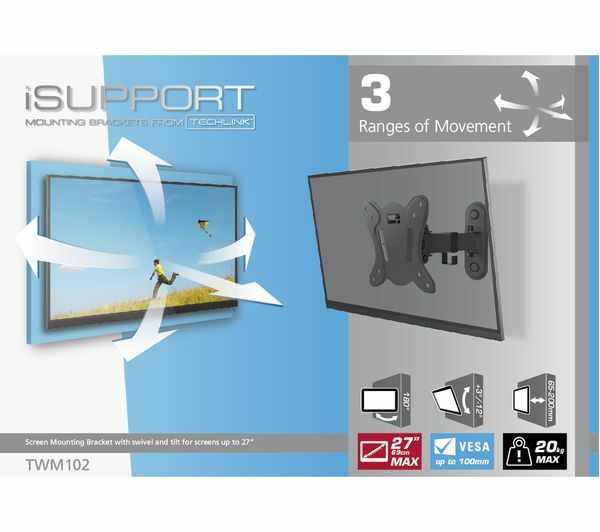 Able to support TVs up to 27” and weighing 20 kg, the TWM102 is perfect for wall mounting your TV. 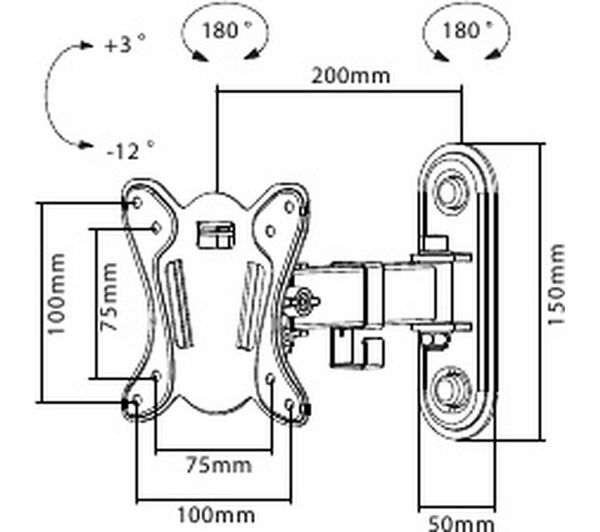 The single bracket arm folds almost completely flat to the wall and can be tilted, pulled out and swivelled so you can adjust your TV to just the right position. 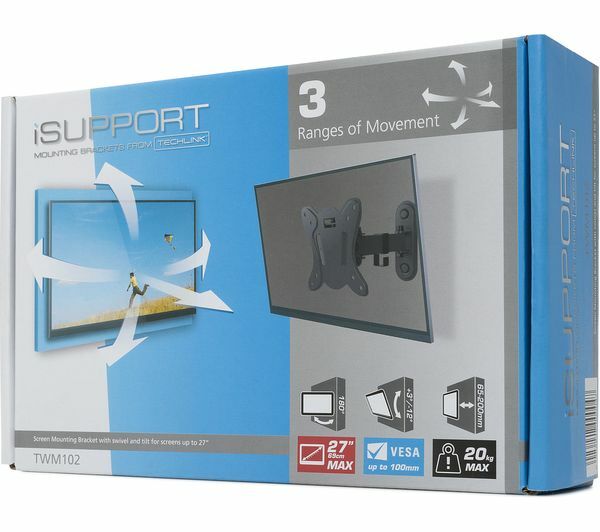 The only downside i can say is there should be some asorted spacers as the screws which go into back of the tv where too long .